In previous posts, we’ve discussed the importance of tools like vehicle area networks for first responders. This time, we’ll go into a bit more detail about the first link in the situational awareness chain: the cellular broadband router itself. The amount of data required by police officers and other personnel continues to grow. Long ago, communicating with headquarters by radio was enough—after all, it was what was available. Since then, it has become essential to maintain a robust always-on connection that can be shared by multiple devices. Nearly all vehicles in a modern police or fire department are now equipped with 4G broadband cellular routers. By integrating the router with computer aided dispatch (CAD) systems and using its vehicle location technology, dispatchers can determine who is closest to the scene of an incident in progress, helping responders get there faster. On the way to the call, dispatch can now provide call history and other information so that personnel can assess the situation ahead of time. Officers can access state and federal criminal databases, run license plates, and even surveillance videos using the broadband connection. Even without taking advantage of more sophisticated features such as the vehicle area network, a cellular broadband router is the first and most important link in the information chain that keeps first responders safe and effective. 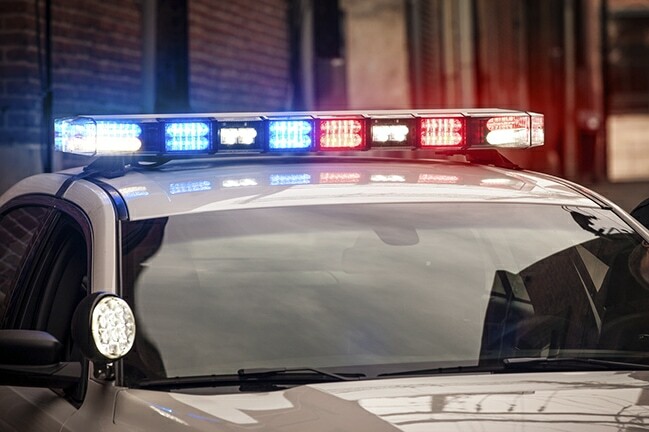 To learn more about how one police department uses CalAmp Vanguard 5530 routers to ensure public safety, check out our case study.